Looking for Business Software for your business organization? Here is list of available free Business Software that actually can make your business easy. Here is list of business software that will help you in client management, invoicing, online booking, logistic management, monitoring, ERP, eCommerce, and in Inventory Management. If you have big business than you might have one already, but most of Small business don't have big budget and the reason they look for free business software that ease up their business work and help in day to day business work. 1. StudioCloud - A Free business software for those who have one man operating business (small business). By help of StudioCloud, you can put all your business on cloud (online). All you need is just computer with internet connection, and done! 1. You can manage clients online. You can connect your leads, partners, and vendors online. 2. 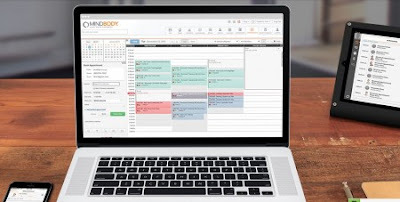 You can schedule your events, meetings, appointments, and much more online. 3. You can send and receive professional invoices and quotes online. 4. You can manage your projects, marketing campaigning, online booking of schedule of meeting etc. 5. StudioCloud Automates your business online. 2. NCHSoftware :- NCHSoftware software is right business software if you have requirement of work management, files management, inventory and invoice management. NCHSoftware will take care of Customer Relationship, it offers you to create database of customers, so you can directly coordinate with your customers and improve customer service. NCHSoftware also offers Time Sheet Recorder features which will give your track of how long time it takes to complete particular task. NCHSoftware is best time management software for small business. Run your entire business in the cloud with one unified software system connecting financial, customer, and product data with NETSuite. NETSuite is being used by almost 24000 business organization worldwide. 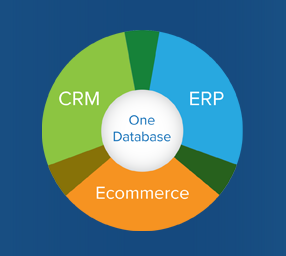 You can manage ERP (Enterprise resource planning), manage all back office operations on cloud. You can manage inventory and supply chain and order management on online cloud software. If you want to take your business online (online selling) than also NET SUIT will help you to create eCommerce business. Resource management, project management, project accounting, time-sheet and expense management, PSA can be managed in NETSuit Business Software. These are the Free business software's, hope it will fulfill your business requirement, if not, do comment below with your business requirement, we will update the list.